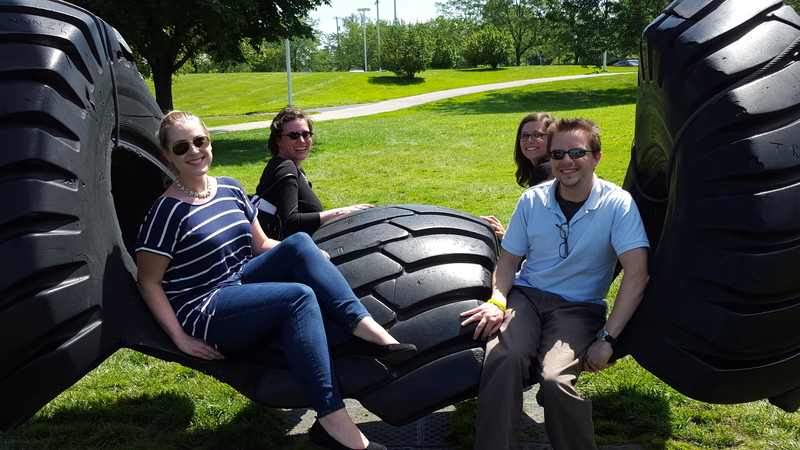 Yesterday the interpretation team took a field trip to the Toledo Museum of Art to check out Play Time. Associate Curator of contemporary art Halona Norton-Westbrook, who co-curated the exhibition along with Associate Director Amy Gilman, spoke with us about the origins of this experimental exhibition as we visited the included works installed throughout the museum. We had visited Harmonic Motion first thing upon entering the museum and it was interesting to hear how the museum’s original vision, and interactive space for all ages, tended to be more attractive to, or at least more actively engaged with, by children than adult visitors. Anything Can Break was another work in the exhibition some of us had encountered before meeting up with Norton-Westbrook. This was one of my favorites because I had been lucky enough to spend some time in the room with it completely alone. The work contains small cameras that are installed in hanging boxes, which capture visitor movements that then trigger musical sounds to play through speakers. When multiple people interacted with it simultaneously, sounds played in combination with one another creating a completely spontaneous and dynamic experience. My solitary interaction with Anything Can Break was both an unexpected and satisfying experience as I felt I had conversed with the artwork itself. 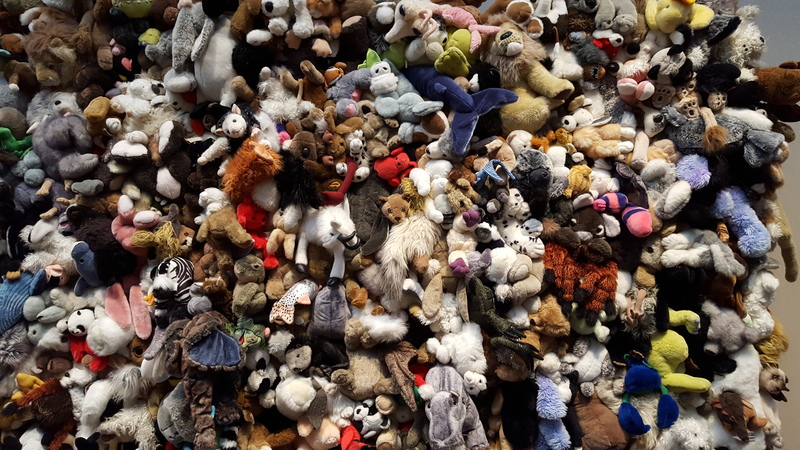 Another one of my favorites was Animation – a work by American artist Stina Köhnke that seemed to be a wall of stuffed toys that grew out of a chair. Actually, I had discovered this work on the TMA’s website the day before so I was looking forward to seeing it in the galleries and it did not disappoint. Mountains of plush toys and furry animals brought back memories of arranging my own substantial collection of stuffed animals in my childhood bedroom after hours of play. While standing in front of the work, we witnessed a little girl sprint toward it to touch the animals only to be pulled away by an embarrassed mother. Norton-Westbrook explained this was a common occurrence with this particular work and it was something that had come to be expected and staff in the galleries were continually refining the best ways to balance the need to protect artworks with some of the visceral responses. What other response could one expect from child when they encountered such a magical sight! Swing Space was a group favorite as the act of swinging elicits the same feeling of joy from adults as it does from children. 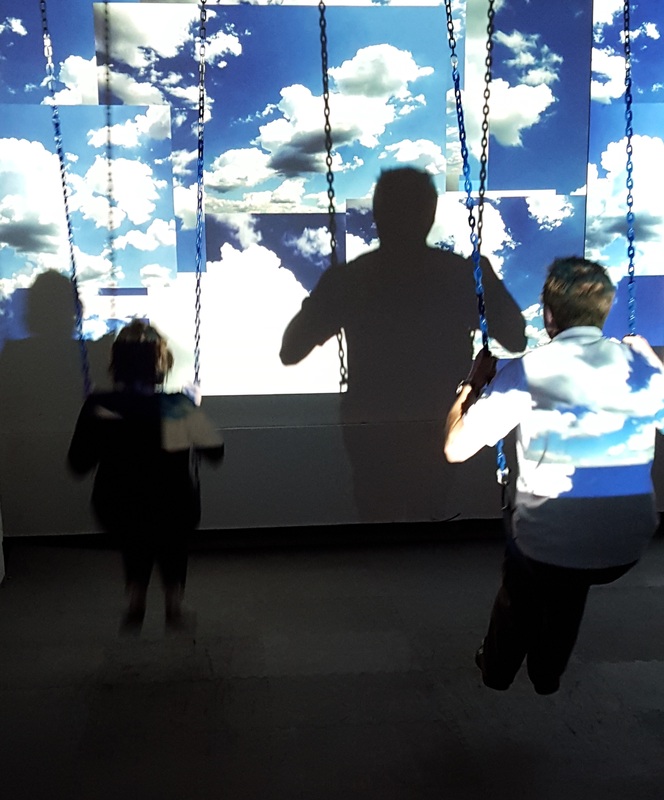 Four swings installed in an unfinished gallery space was paired with projected patches of blue sky for anyone who wanted to recreate the experience of an endless summer day spent on the playground. The swings were full up when we entered but once the children gave up their seats, the adults milling around in the background (us) quickly took their place. As one of our team said later, what could be better than swinging in a museum?! 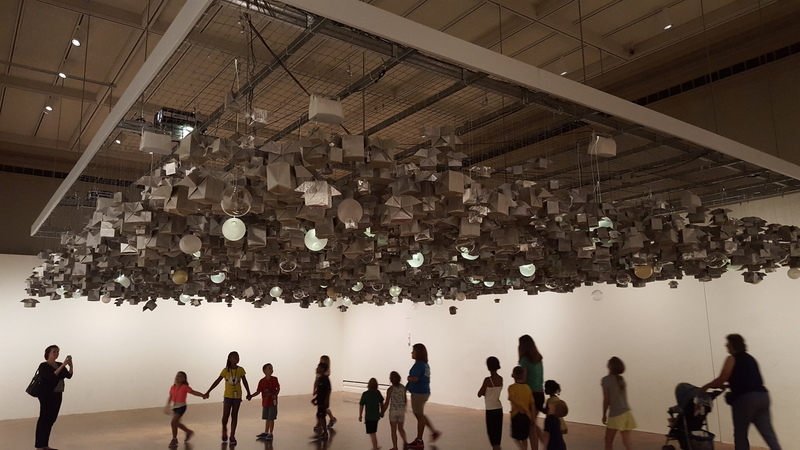 Our experience with Play Time next took us over to the magnificent Glass Pavilion where Norton-Westbrook introduced us to Glass Mountain and Masking Tape Installation, works that resulted from two artists’ onsite creations. She noted it was key that Play Time continued to evolve over the course of the exhibition so that it was, like many of the works themselves, constantly in motion. As an interpretation team working in an art museum, we often find ourselves grappling with how to facilitate opportunities for visitors to meaningfully engage with art. 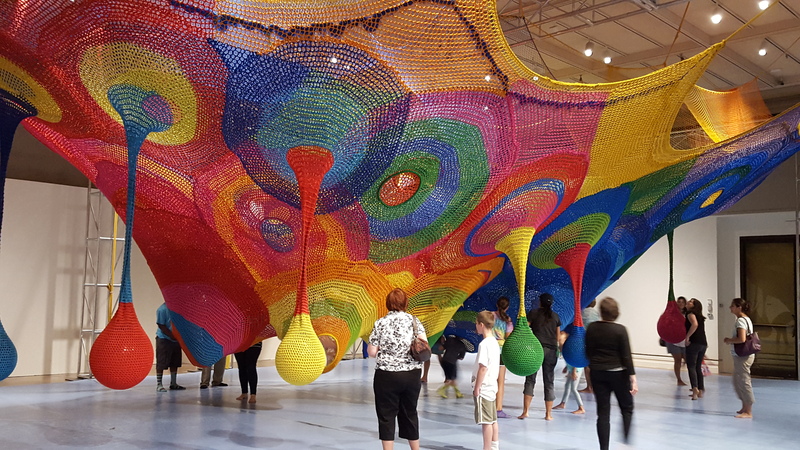 I’d say with Play Time Toledo got it perfect with an innovative idea—unlock the child-like wonder that lies dormant in most adults by offering up opportunities to connect with art through the activity of play. ← Museum Reconnaissance, Continued (with special appearance by the Cheesebarn).